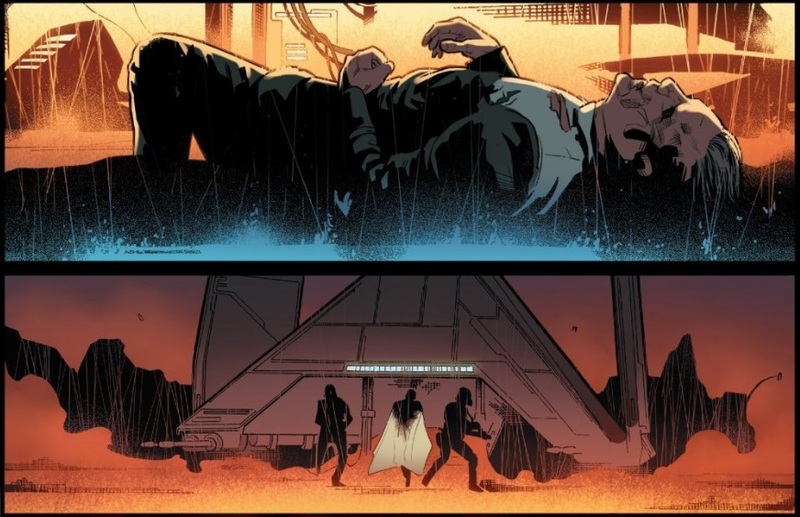 Rogue One #4 provides a few extras as it tells the next chapter in the adaptation of the movie. 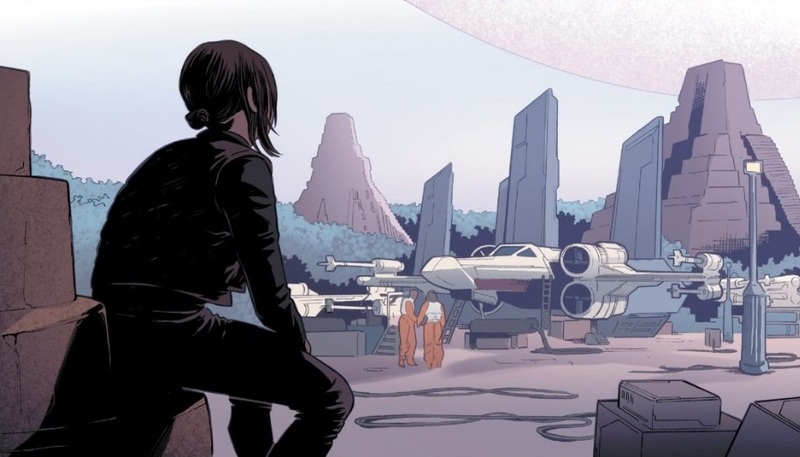 In this issue we go from the escape from Eadu to the leaving Yavin to take on Scarif. It’s a dialog heavy issue with a little bit of action. For the most part, this issue covers what was in the movie. But there are some extras. 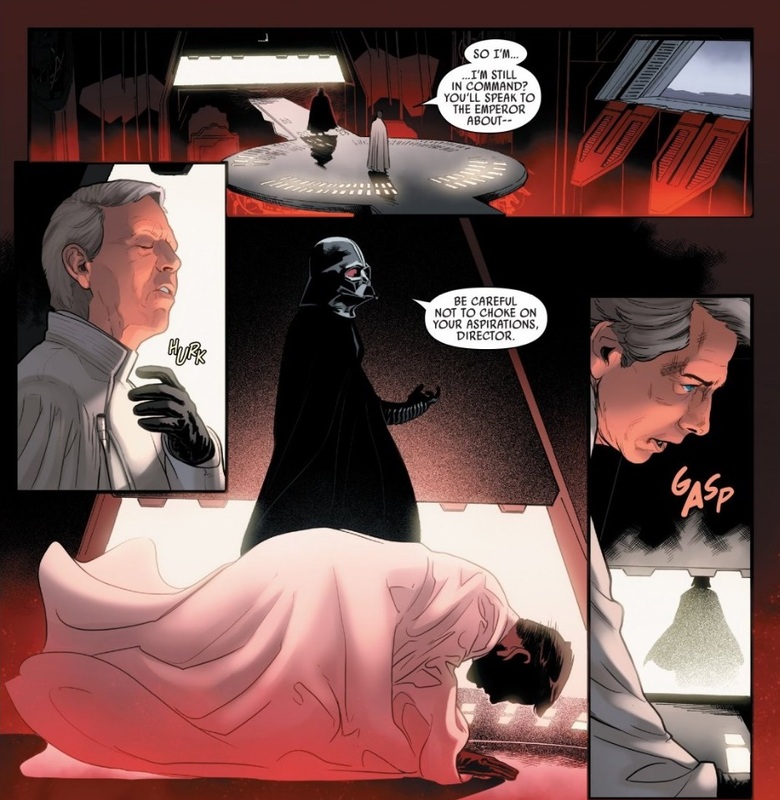 There’s some flashbacks of Krennic and Galen. There’s a scene between K-2SO and Bodhi where he points out they both wear the marks of the Empire. And there’s a scene between Mon Mothma and Jyn before the meeting of the council. It’s nothing earth shattering but it is a nice addition to the issue. The artwork in this issue is pretty darn good. In fact the character likenesses are getting better. Even Krennic looks like Krennic now. Emilio and Rachelle do a good job of bringing scenes from the movie to life and creating new scenes that showcase some nice moments. 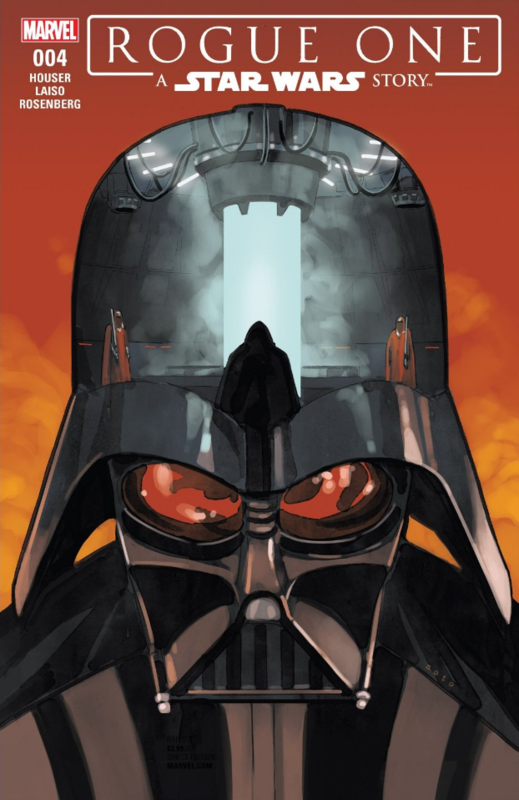 Overall, Rogue One #4 is a good issue, but it’s not something you have to read. The added content isn’t quite enough to validate the money for the issue, but it doesn’t make it a waste of money either. Depending on how much of a completest you are, you may or may not want to buy this one. I give it a four out of five metal bikinis.